This book carries on the tradition of the solo village witch emphasizing white rather than black magic. It is a practical manual of instruction for those who choose the solo path of study and particularly stresses the importance of being in tune with nature. As there are approximately 13 moons each year - the book is divided into 13 parts. Each section is aimed at lasting from the new moon to the dark to make the student fully aware of the changing power in the tides of the sea and the tides of the self. The moon-long sections deal with a variety of taditional arts, skills and mental exercises which enables the aspiring witch to discover the inner world of magic inside him/herself. 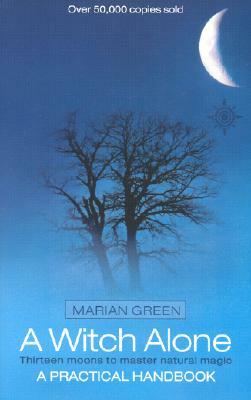 Marian Green is a leading authority on Natural Magic. She is the author of the bestselling Witch Alone, and is the editor of Quest magazine. She runs courses and workshops on Ceremonial and Natural Magic throughout the UK and Europe.